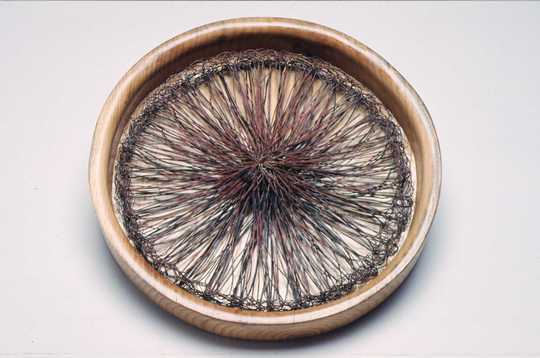 Elizabeth Keithline, Disks, copper wire, 9" dia. Artist, curator and arts writer Elizabeth Keithline has been weaving with wire for 20 years. Her exhibition Smarter, Faster, Higher is currently on display at Blue Star Contemporary in San Antonio, TX. Keithline has been awarded a coveted Albers Foundation residency for 2014. I liked participating in the project. Most artists are more communicative than people think. I’m curious about the outcomes.